VIP Interior Design offers light commercial and contract interior design services including retail, corporate, healthcare and hospitality, specializing in concept development and the synchronization of client, architect, GC and various project vendors. DESIGN DEVELOPMENT - Space planning, lighting design, color schemes, finish, material and fixture specification, concept designs and renderings. INTERIOR TREATMENTS - Window treatment design and installation, furniture selection and procurement, systems furniture configuration, accessories and art selection and installation. PROJECT ADMINISTRATION - Synchronize with your Builder on your behalf, on-site visits and construction meetings, implement floor plan and lighting plan, supervise punch list process, and frequent owner updates. CONSULTING - Paint color, lighting and tile preference, furniture placement and redesign, on-site orientation, signage and branding direction. Reception Area of Preston Dental Center, Cary, NC. 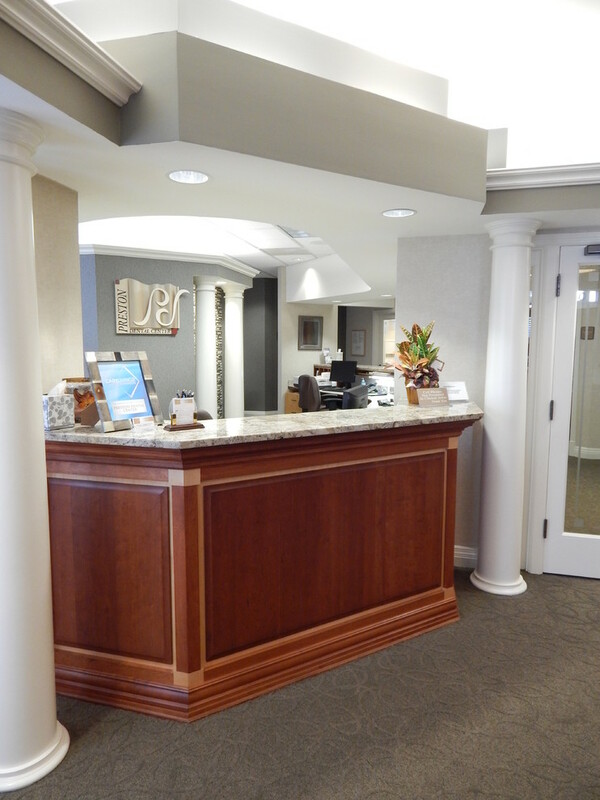 Reception Desk of Preston Dental Center. Linear Mosaic Tile Feature Wall of Preston Dental Center. 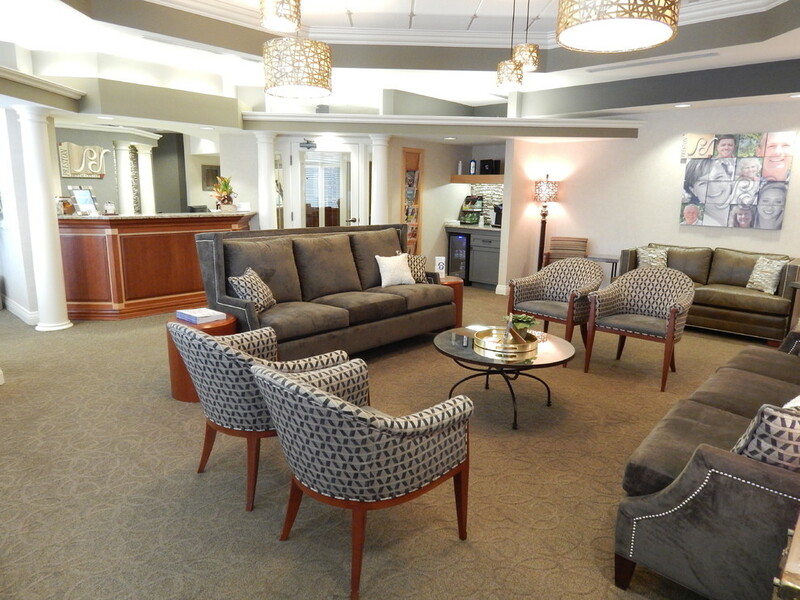 Reception Area of Preston Dental Center. Built-in Beverage Center at Preston Dental Center. 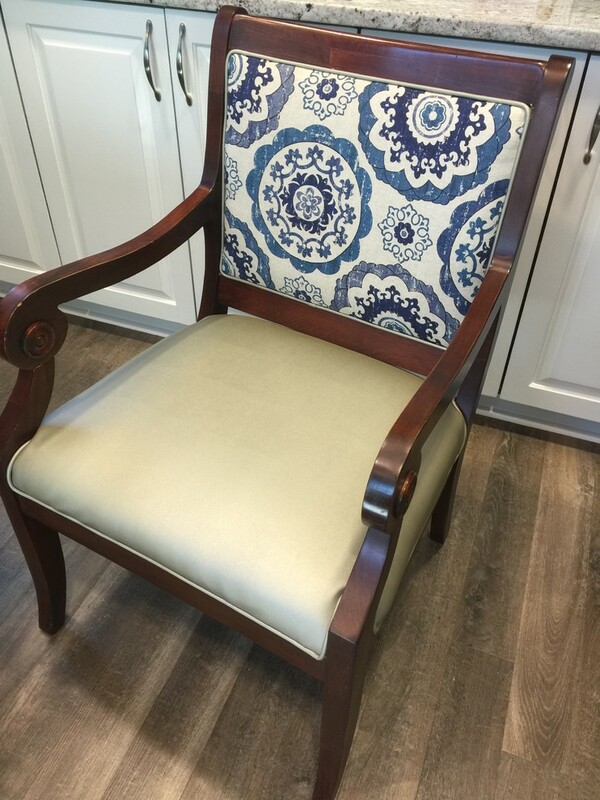 Custom love seat with ostrich leather and nail head trim. Consultation Room of Preston Dental Center. Therapy room of My Therapist, Inc.